While the multiplayer experience holds the brunt of what defines the Titanfall 2 offering, the campaign provides the contextual relevance we’ve craved ever since we were introduced to Respawn Entertainment’s world. The lore, characters, and war that engulfs the universe was something we needed more information on, and Titanfall 2 promises to offer that. So far we’ve guided you through Titanfall 2‘s Achievements, as well as the locations of the collectible Pilot Helmets. In this guide we’ll help you battle it out against the game’s five boss battles, offering up the best tactics and details on each one as you come across them in the campaign. 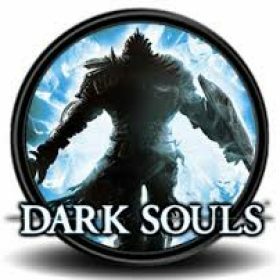 There are some minor spoilers in this guide, of course, so if you’re not yet up to certain points in the game, be sure to look away and save the best parts of the story and the boss battles for yourself to discover. Tactics: This is the first Titan boss battle you’ll come up against in Titanfall 2. 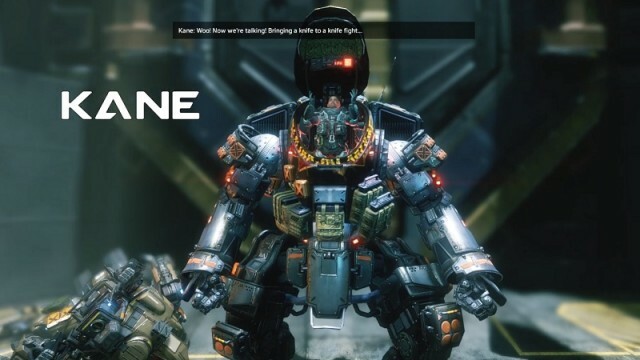 Kane, just as with all other boss battles, comes equipped with a titan shield, making it a far closer matchup with BT compared to other titans you face in the campaign. Keep an eye on any enemy titan boss’s orange (armor) and blue (shield) bars to get an idea of their health and current status. Use the Tone loadout in this battle, as it calls for quick, aggressive and accessible combat. Don’t forget to use Particle Wall to protect yourself as soon as the battle starts. You’ll want to take out the Brute Titan as quickly as possible before focusing on Kane, otherwise it’ll be too big a distraction. Use the loadout’s Tracker Connon and Tracking Rockets to take out the Brute as quickly and efficiently as possible. The Particle Wall is useful in this battle’s early stages, but it won’t protect you and BT for long. Using the loadout’s Tracker Cannon and Tracking Rockets, hit Kane as much as possible while constantly on the move. Don’t stay stationary, as you’ll become a huge target in such a confined space. The primary objective here is to take out Kane’s shields, so use the Salvo Core to take them down once it becomes available to you. Then, once his shields are down, attack as hard and aggressively as you can. You can switch loadouts at this point, but the Tone’s arsenal should get the job done.The trick here is to avoid Kane’s Thermite Launcher, because it deals heavy damage. Ideally, you want to take out the Brute before Kane initiates this, so be quick in taking that Brute out. Always keep a distance from Kane so as to avoid his attacks. 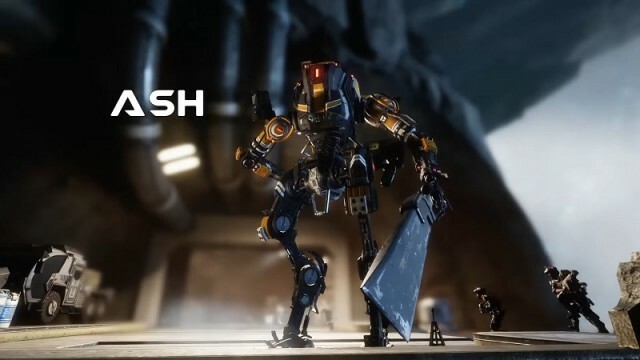 Use dash to avoid any incoming shots, as all of his attacks are particularly devastating and deal heavy damage. 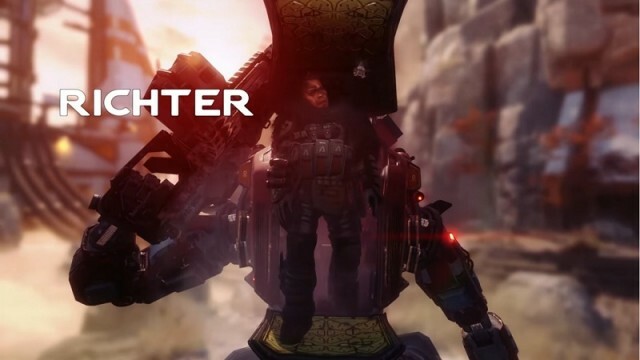 The challenging thing about this battle is that even when BT doesn’t seem to be under fire, the blazes set alight by Kane’s Launcher can cause continuous damage to BT, so make sure you’ve always got an eye on his health. You need to attack hard, fast and aggressively, because Kane will retreat once his shield is down. If this happens, it’ll regenerate and you’ll be back at square one. Constantly keep attacking him and don’t stop once his shields are down. Take out Brute Titan first. Equip Particle Wall to protect against Kane’s attacks while you’re attacking the Brute. Once the Brute is dealt with and the Particle Wall is down, keep moving. Use Salvo Core to take out Kane’s shields. Attack hard and fast, and don’t let Kane retreat! Tactics: You want the Expedition loadout equiped here, as it offers weapons with a high firing rate, as well as a Vortex Shield. Much like Kane’s titan, Ash’s has shields and is extremely mobile, making it a tough opponent in close-quarter situations. As with the first boss battle, you want to keep moving, so use dash as often as possible to avoid Ash’s Leadwall and Arc Wave attacks. Use your shield often, but there’s plenty of cover available to you so use any natural cover if the shield is depleted. Ash also uses Phase Dashing, which allows her to disappear in one area and appear in another. When this happens, she will almost always appear behind you, so be on the move and keep an eye on your back. Using the Brute ability Flight Core, take out her shields. You can choose to stick with this loadout and switch over to Scorcher, which offers a devastating and power Thermal shield, and a number of arsenal that will make it difficult for Ash to move around without losing health. The Flight Core ability in Brute should get the job done, however. Just make sure you’re prompt and fast, and don’t let Ash get close enough to attack, because close damage is devastating to BT’s armor. Tactics: This interesting battle has Richter piloting a Tone titan, which you would be familiar with from the first battle against Kane. This loadout is good at long-range, so ideal you want to take the battle to him by equipping the Ronin loadout. Get close, but not too close for the Tracker Cannon and Tracking Rockets to cause damage: try to flank Richter by using the rocks for cover and sneaking up. If you find yourself without cover, use Sword Block to absorb any damage that Richter tries to send your way. Thankfully, there are some batteries in crates scattered around the place, so you get a health boost if Richter is getting on top during the battle. The trick is actually to try and take some damage to lure Richter towards you, and force him into a closer battle. Use the rocks to flank around him, and then hit him constantly. Keep moving and flanking around the rocks, never leaving too much time between attacks as his shield will regenerate. Once his shield is down, use the Sword Core ability (ensure to save it for once his shields are down) to take out Richter as quickly as possible. Get close enough and starting swinging aggressive and often, but be sure to avoid his attacks by using Dash. It will take one, maybe to hits with no shield to take down Richter once and for all. Tactics: This is undoubtedly the toughest battle you’ll have faced up to this point in the game. Viper’s titan is packing plenty of heat, and can also execute aerial manoeuvres, making it difficult to target him and keep track of his movements. The Ion loadout is useful here, as it allows you to equip the Vortex Shield, ideal for protecting BT from Viper’s unpredictable attack patterns. Viper will attack with rockets, so either hit cover and use the Vortex Shield to protect you. This first attack should be easy to avoid, but you’ll soon come up against some Scorch Titans that need taking down immediately. Deploy some Trip Wires, and using the Splitter Rifle, fire as much as you can into the Scorch’s. There’s plenty of useful cover here, namely the anti-aircraft guns. These should protect you from the explosive arsenal of the Scorch titans. Then, once the Laser Core is powered, use it to take out the Scorch titans. You’ll either take them out, or cause enough damage that one or two more hits with the Splitter Rifle should do the trick. 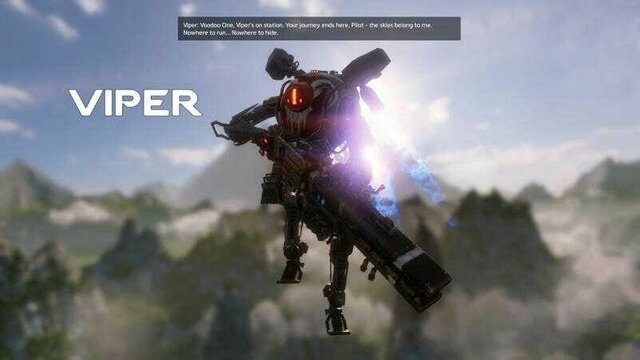 Once those pesky Scorch titans are dealt with, switch over to the Expedition loadout, which will allow you to better deal with Viper’s difficult-to-track maneuverability. This loadout’s targeting missile system is extremely useful, as it will hit Viper regardless of his location and movement. Look for battery on top of the deck, and use the X0-16 primary weapon of the Expedition loadout to take out Viper’s shield. Once you do, finish him off with some missile. Tactics: Any loadout with a shield is ideal here, so a combination of the Legion, Tone, Ronin, Brute and Expedition loadouts is ideal. Slone pilots an Ion titan, which can deal heavy damage, quickly, with explosive attacks that can make it difficult to keep track of both the enemy and your health. As with a number of other bosses, Slone deploys a Brute titan by her side. Use the Legion loadout’s Gun Shield and take out the Brute as quickly as possible. Once you take it out, your core ability should be charged. Use the Smart Core and Predator Cannon to destroy Slone’s shield and armor, and send her packing to regenerate. You won’t be able to kill her just yet. Once Slone retreats, you’ll come up against a Tone and Scorch duo of enemy titans. Try to focus on the Tone titan first, taking it out with the Predator Cannon. Avoid getting too close and within range of the Scorch titan. Keeping move and dashing away from it, while focusing fire on the Tone titan. The Power Shot is useful in keeping the Scorch titan at a good distance. You want to take out the Tone titan before Slone reappears: this titan will keep its distance in an attempt to trick you into focusing on the Scorch, which is tougher to take down. Meanwhile, the Tone titan will attack you from a distance, and you’ll become overwhelmed. As such, keep chasing the Tone and attacking it, forcing the Scorch to chase you around. When Slone return, you absolutely must keep an eye out for her Laser Core attack, because this will destroy you. If you see the targeting lasers coming from her core, dash as quickly as possible and move straight into cover. Don’t bother wasting your shield. Do not get hit by this attack, as it will massively put you on the back-foot in the battle. Slone’s shields will be partly restored, which makes things tricky for you. At this stage, you can probably attack aggressively and hard: switch to the Ronin loadout, use Phase Shift to flank her, and nail some Leadwall Shotgun rounds into her to send her packing away to regenerate for a second time. You can use the Sword Block to defend against her attacks. When she retreats, she’ll said three Reapers your way. Switch to the Legion loadout, and use the Gun Shield to protect you while you annihilate them using the Predator Cannon. Ideally, you want to take all three of them out before Slone returns, otherwise it will be a tough battle for you. She will return now, with full shields but depleted armor. Stick to the Legion loadout, and use the Predator Cannon to attack her shields and armor. By this stage she will probably have the Laser Core ready, so be sure to break into cover if she does. Once you’ve taken out her armor, rush in to execute her at close range. Got any Titanfall 2 tips? Sound off in the comments below or join in the discussion!